Secret Slots may seem like an enigma, but we at Phone Bill Casino are here to tell you all about their tasty treats. With a sophisticated monochrome theme of the fabulous Las Vegas, we’re instantly transported into a world of luxury and fun. Of course it’s the games which will really have you telling everyone about this great site, because they have over 300 to choose from. This includes table casino, instant games and slots, such as Jimi Hendrix and Rainbow Riches. Add in a few complimentary instant games and you’ll be ready to tell the whole world; secrets are for dummies. It’s wonderful to have so much choice, but sadly finding the time to play in our hectic lives can be difficult. This is why gaming on mobile devices is becoming so popular, because it means you the player chooses when you want to game. Secret Slots is available on a number of mobile and tablet devices, and don’t worry if you’ve only ever played on desktop because the quality is exactly the same. 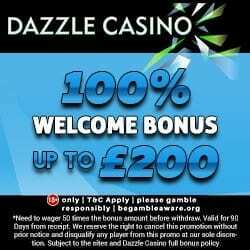 The welcome bonuses begin when you make your 1st deposit, because you’ll receive a 100% cash match bonus on a minimum £10 and up to £25. To receive this bonus you need to add in the promo code PLAYNOW when you deposit and the credit will instantly be added to your new account. Because Secret Slots love their regulars, they offer a monthly cashback bonus. The more you play and wager the higher your level in their loyalty scheme and as such, the higher the percentage of cashback you can look forward to. If you’ve already broken the secret to your friends, then make sure you take advantage of the refer a friend bonus. 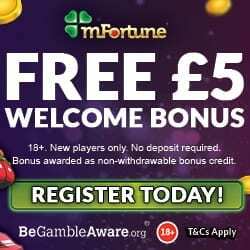 If they register and deposit, then you’ll receive £10 in bonus credit to game with. For those of you who continue to return to Secret Slots, then you’ll enjoy being a member of their rewards scheme. You collect points by wagering and these points move you through the five levels which include Public, Classified, Confidential, Secret and Top Secret. 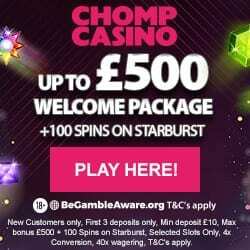 Each level offers bigger and better rewards, including spins, birthday bonus, cashback and bespoke bonuses. Secret Slots also has a secret blog which provides information on their games, promotions and the latest news from the online gaming world. Support can be accessed via telephone or email, 24/7 and they aim to respond within a reasonable timescale. Did you know that Neteller now accept mobile phone payments via Boku, which means that you can charge your gaming credit to your mobile bill. There is a small transaction fee, but we recommend you check out our article on Neteller accepting Boku payments, which also provides an additional list of sites. If you’re ready to let the secret out of the bag, then head over to Secret Slots and enjoy.